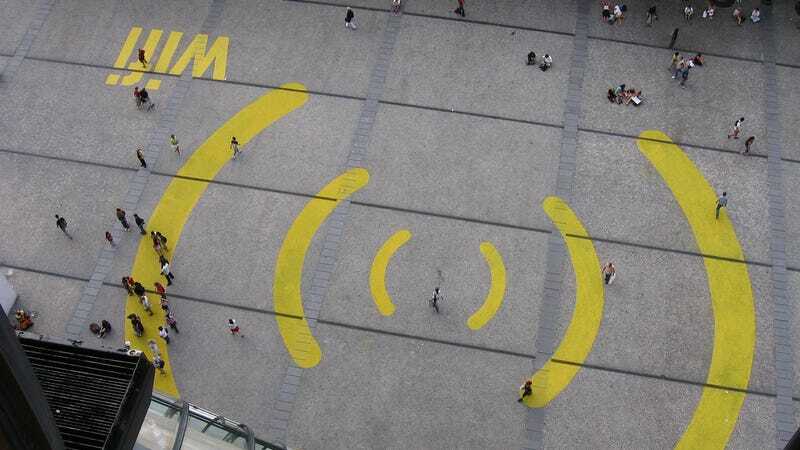 Can the FCC Create Public Super Wi-Fi Networks? The Washington Post boldly led a front-page story last weekend with the claim: "The federal government wants to create super WiFi networks across the nation, so powerful and broad in reach that consumers could use them to make calls or surf the Internet without paying a cellphone bill every month." Let's get one thing straight: the government is not creating its own "super WiFi network", but its plans will indeed make awesome new WiFi networks possible. Technically, what the FCC is actually trying to do is increase the amount of open spectrum that is available for WiFi networks of all sorts-and for other "unlicensed" uses. This is a very good idea. Increasing the amount of unlicensed spectrum will lead to better functioning routers, tablets, laptops, and smartphones-and to a host of other new products in the marketplace. It will enhance the quality and supply of extremely useful open wireless networks, but it will also increase the quality of (somewhat less efficient) password-locked WiFi networks as well. Leaving spectrum open was a necessary historical step for the creation of WiFi in the first place: all of the popular 802.11 devices and standards we use at home, work, and other places-as well as new high-value "wireless ISPs" (WISPs)-only exist because there is some unlicensed spectrum that they can squeeze into. But it's a portion (the "amateur" section of this chart). Much more of the spectrum has been auctioned off, and while privatized spectrum can be useful, it currently appears to produce much less benefit in terms of utility and innovative products per megahertz than the unlicensed portions. Increasing the amount of open spectrum available for new products to use is likely to produce comparable gains in the future. In short, the Post was correct to claim that more open spectrum will allow for more efficient wireless networks that would improve the quality of VOIP and video conferencing systems, as well as enable cool new gadgets that do things we haven't even thought of yet. Despite the obvious gains for innovation, Congressional Republicans are opposing the FCC's plan on behalf of the telecom industry. Instead, they want more auctions, a process by which the government would hand out monopolies on the last remaining scraps of the spectrum. While this earns the government money in the short term (the 2008 auction raised $19 billion), the long-term harms to innovation would be much greater. Spectrum auctions are very tax-like in the sense that they transfer resources from individuals and companies in the marketplace into the coffers of the federal government. Put simply: if spectrum is open, you can develop around it for free. If spectrum is auctioned to a single company, said company will pass that investment cost-plus a hefty markup-on to its customers via an expensive cellular or wireless data plan. These auction dynamics and limited competition have led to US citizens paying twice as much for their cell phones as people in the rest of the developed world. While telecom companies claim that such monopolies incentivize them to invest in their own infrastructure, the question becomes: are consumers and network users actually getting more benefit per megahertz from the expensive, auctioned-off spectrum, or from the small amount of free spectrum that is currently left over for wireless networks and other uses that are not centrally planned? It turns out that the answer often sides with unlicensed uses: open spectrum is currently used more efficiently than spectrum that has been auctioned off. Why? From an economic perspective, it seems that unlicensed spectrum has simply allowed for more productive technology. A recent working paper by Harvard's Yochai Benkler concluded that in eight major wireless markets-from broadband to healthcare to payments-open wireless technologies proved to be dominant. Opening the white spaces will straightforwardly allow indviduals and firms to build better networks and make better use of the spectrum. Licensing encourages the licensee to maximize the profitability of the spectrum... This is why there are only a handful of large licensed network operators and several dozen smaller providers. By contrast, there are several thousand wireless ISPs using unlicensed spectrum to provide broadband in rural areas unprofitable for wireless providers. In addition, there are tens of thousands of coffee shops, hotels, and other establishments offering wifi. Hundreds of manufacturers put wifi – or other protocols using the unlicensed bands — into everything from printers to refrigerators. We agree with Feld, although his estimates of the number of users of open spectrum are probably an order of magnitude too low. While licensed spectrum provides certain benefits (for example, shielding from network interference), unlicensed spectrum allows for greater utilization and scaling. Almost every Internet user utilizes WiFi or devices from manufacturers who have benefited from the ready availability of WiFi. Such low barriers promote innovation and drive down costs. A Stanford paper commissioned by Google also delves into the immense economic and technological benefits of unlicensed spectrum, focusing on the development of WiFi as a prime example of the unforeseen gains that are fostered by available spectrum. The most prudent spectrum policy calls for a healthy balance of open and privately managed bands, because different stewardship models may work better for different generations of technology or application types. But at the moment, there is a problematic imbalance away from openness. Having more open spectrum networks will allow WiFi (whether that's open WiFi, locked networks, or paid-for hot spots) to be faster, longer range, and more reliable; will allow more WISPs that offer low cost point-to-point Internet access; and will allow companies to innovate in ways that we haven't even anticipated yet. We agree with the Washington Post and the FCC: from here, open is the way to go. 1. Phone companies try to mimic this architecture by charging their customers for "femtocells," which have similar properties to WiFi. (Actually, it would be fairer for phone companies to be paying their customers to run these, since they improve the phone network and bring in more revenue because everyone who uses them has to pay for the calls or bytes). In any case, the number of wireless access points massively outpaces the number of femtocells, leading to higher spectral efficiency. Republished from the Electronic Frontier Foundation. Image by maxel.org under Creative Commons license.